109th Livery Company in the City of London. Supporting excellence in educators. In 2008, Mr David Taylor succeeded Dr Warren again – this time as Master – and Dr Gaskell retired as Treasurer, to be succeeded by Dr Carey. Mr Taylor’s year was one which included some notable innovations, as well as a continuation of practices introduced during his predecessors’ years. The Preacher at the Annual Service was the Rev Mark Aitken, Headmaster of St Lawrence College, Ramsgate. 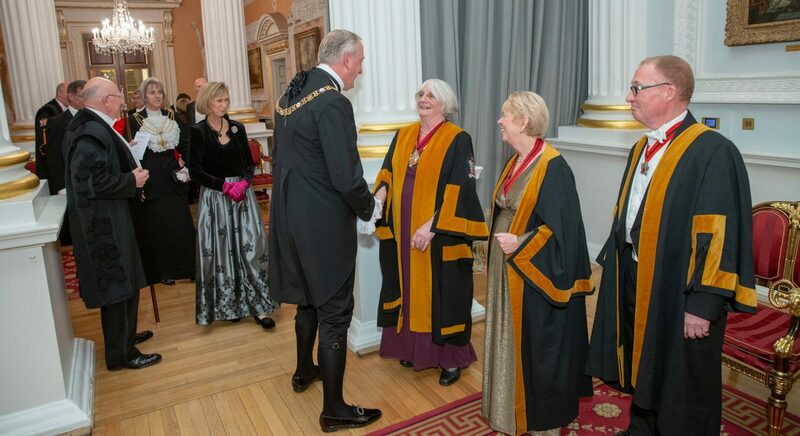 The Franklin Lecture, kindly sponsored by Pearsons, was presented by Dr Anthony Seldon (Master of Wellington College, author and historian) under the title of ‘How well-being enhances educational standards’, and this was followed by a most enjoyable white tie Banquet at Fishmongers Hall. Christmas was celebrated by the now traditional shared carol service and by a Freedom Friendly party (‘A Dickens of a Christmas’), comprising supper and a very entertaining medley of readings and songs arranged by the Appeal Group. Mr Taylor had chosen ‘Standards’ as his theme for the Master’s seminars which were very well supported and thoroughly enjoyed, as indeed were a number of social meetings. Spring saw the introduction of ‘The Master’s Music’ in which a number of talented Freemen and friends and relations performed including a newly-convened Guild Choir. This was so popular that future Masters were alerted to the idea of providing something similar in their year of office. Yet another very successful Public Speaking Contest was organised by Mrs Pam Taylor (in her guise this year as Mistress Educator). There followed the first Master’s Weekend when fifteen Freemen, partners and friends travelled with the Master and Mistress to the South of France to enjoy some of its cultural and gastronomic delights – another very successful occasion which it is hoped will set a precedent for future Master’s Weekends. The speaker at the Election Dinner was Professor Alma Harris, the recently-elected President of the College of Teachers. Finally, the rather piecemeal Guild awards were replaced by a system funded and organised by the Trust Fund, with five awards being presented at a very successful Awards Luncheon. It was also in 2009 that Professor Geoffrey Bennett assumed the Secretaryship of the Trust Fund succeeding Keith Lawrey who had held the appointment since the Trust was created. The year ended with the lodging of a Petition to the Court of Aldermen of the City of London Corporation for the transfer of the Guild to Company status.